Latest Comment (June 8, 09:27 UT) : Two videos from the AGAPE group at ESO are now available - the entry of Venus onto the solar disc and the first half of the passage acroos the disc. 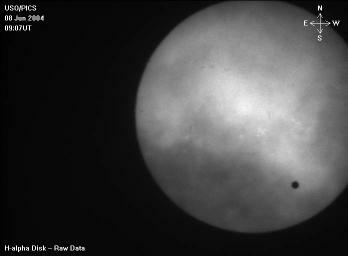 If you missed the beginning of the Venus transit, you may access all previous versions of this Central Display page in the Archive. 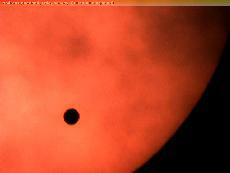 Today, one can see two small sunspots near the centre of the disc of the Sun. 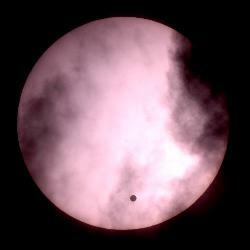 A careful eye, like from an amateur astronomer can detect two more sunspots on the Sun's surface.